Earlier this year, I had the luxury of catching a post-SxSW party at Beerland in Austin. Starting at around noon, the show featured a host of bands that are pretty sonically divergent but tread in similar social footsteps, if you will — such as Past Lives, AIDS Wolf, The Mae Shi, and PRE. At the time, the London-based PRE played an early set, of which I only managed to catch a snippet. That snippet, however, was more than enough to arouse my curiosity, and a bouncing, screeching vocalist Akiko ‘Exceedingly Good Keex” Matsuura caught my attention immediately. A shrill, spastic banshee of sorts (but without the creepiness), Matsuura fronts PRE, defining and complementing their intense sound. Full of angular riffs and fast beats, Hope Freaks is full of short, nonsensical songs that get your blood pumping. And even despite any predispositions one might have about PRE fans or the “way-too-cool” scene they’re lumped in with, PRE are really much more than a bunch of mindless trashy noisemakers filling a fad niche. I don’t doubt for a second that PRE believe and love the type of music they’re crafting. Hope Freaks is legitimately good, in a noisecore kind of way. Short, simple tracks heavily reliant on rhythm wallop your earbuds good and move forth with punk tenets strongly in mind. 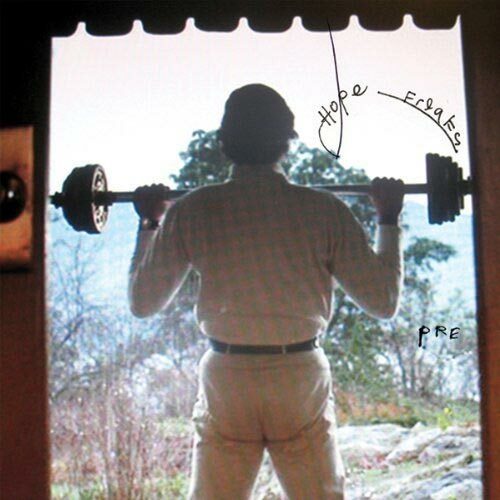 Sonically falling somewhere between bands like Daughters and Melt-Banana, Hope Freaks is a helluva album, and don’t let scenes and band associations lead you to believe otherwise.